One of the greatest action movies of all time was released on this day in 1987. 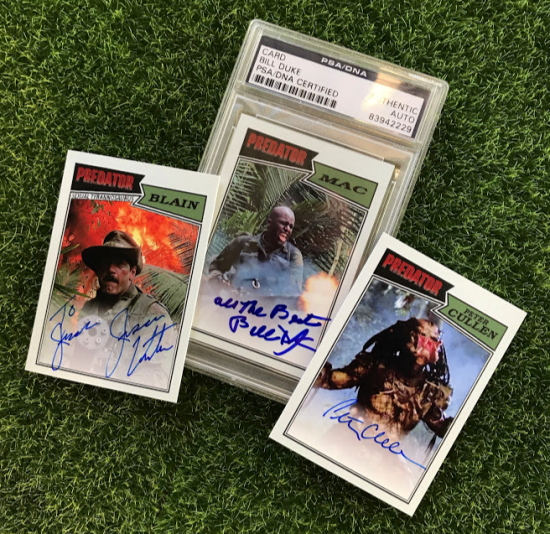 So, in honor of this I'm sharing this picture of my 3 Predator cards I was lucky enough to get autographs on from Jesse Ventura, Bill Duke, and Peter Cullen. Now I think I'll go Watch Predator ... on VHS of course.